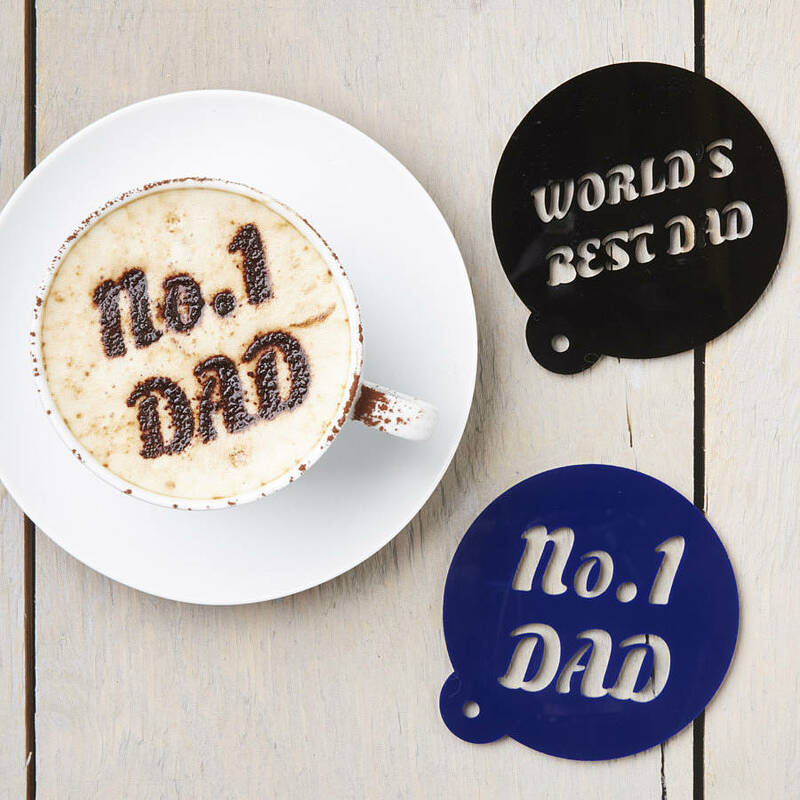 A wonderful personalised coffee stencil of your choice. 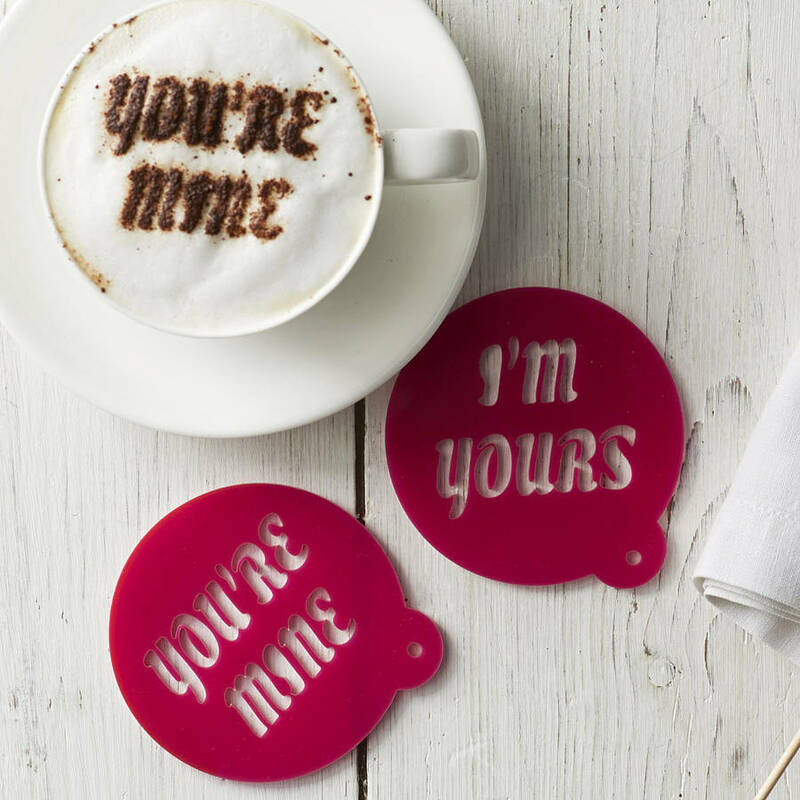 Perfect for adding sweet messages and personal touches to cappuccinos, hot chocolates, lattes or coffees! 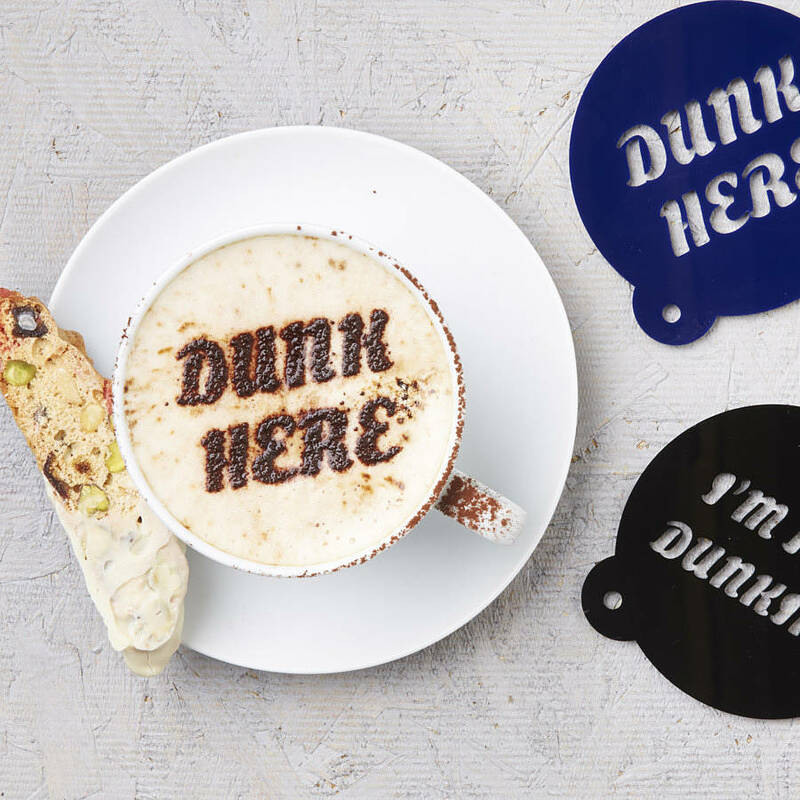 Our coffee stencils are personalised for you right here in Hampshire and make the perfect gift! 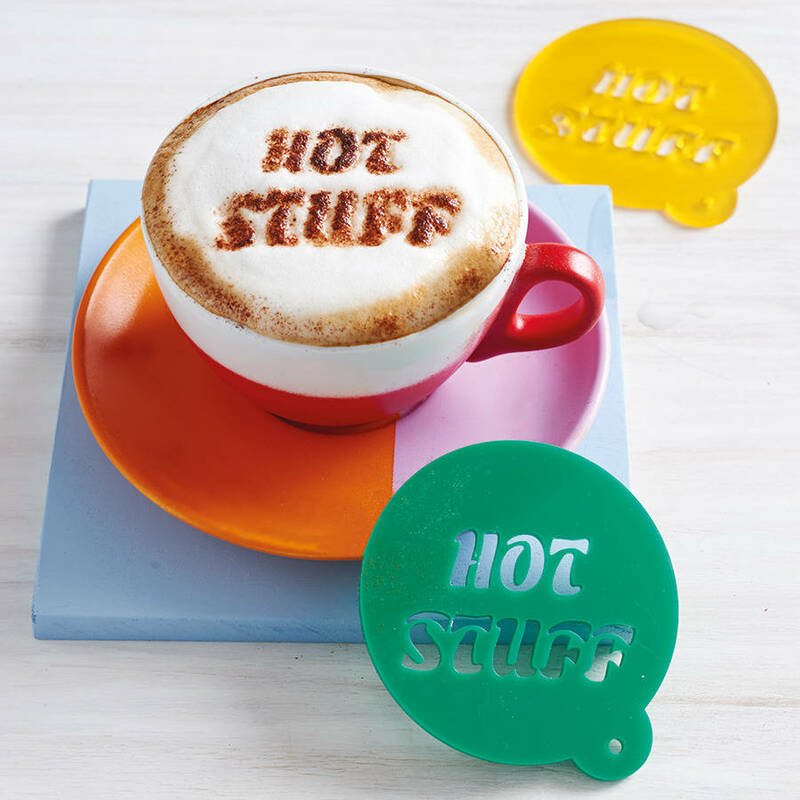 We take your exact wording and apply this to our coffee stencils for you in any colour of your choice. 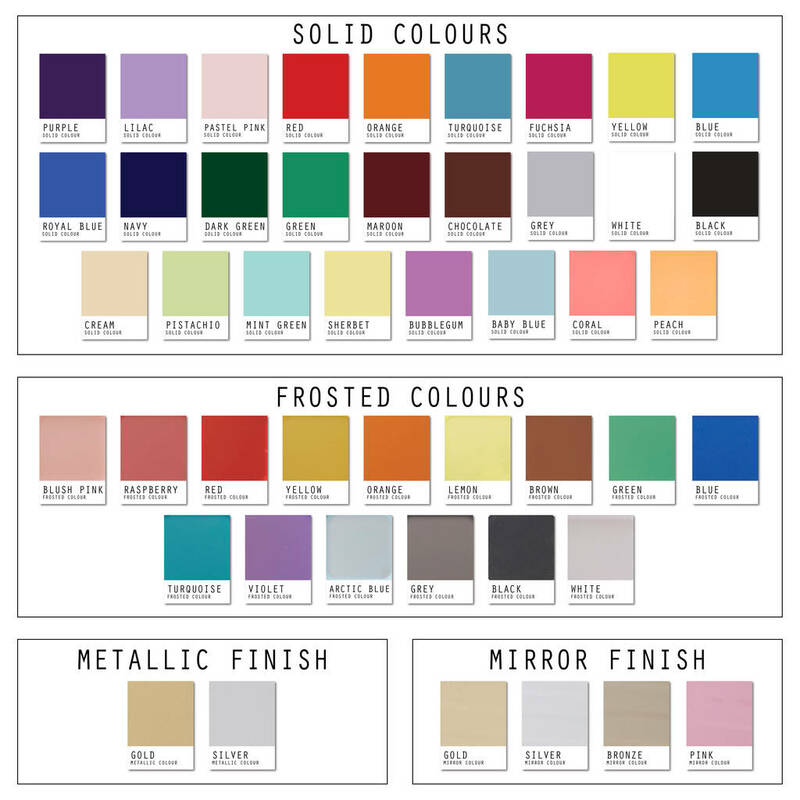 Our favourite colours are red, gold, fuchsia and pastel pink! Make someone special a coffee with their name on it! 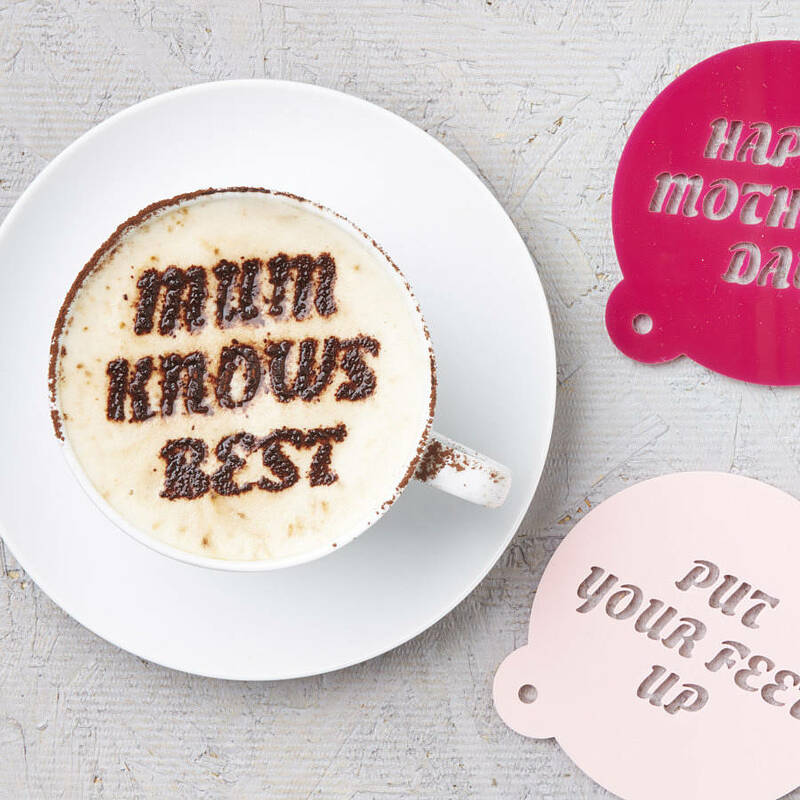 Or ever better personalise their coffee with a sweet message or exciting surprise!